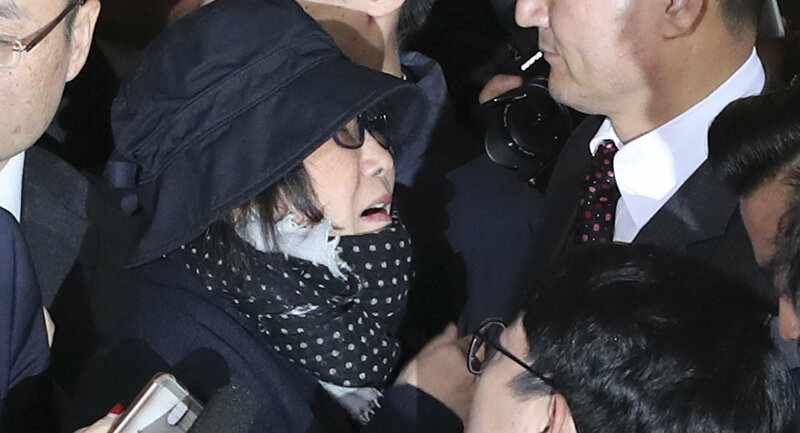 South Korean prosecutors have requested an arrest warrant for Choi Soon-sil, an associate of President Park Geun-hye suspected of interference in state affairs. MOSCOW (Sputnik) — Prosecutors asked a local court to issue an arrest warrant for Choi after placing her into detention earlier in the week, according to the Yonhap news agency. The woman is suspected of using her friendship with the president to influence state affairs as well as embezzling funds from non-profit organizations. On October 24, the JTBC television network reported that Choi allegedly received drafts of Park’s speeches before they were publicly delivered, though she had never held a public post. The following day, Park officially admitted asking Choi for advice on speeches and public relations issues, and apologized for "causing public concern." The revelation has caused a massive anti-government protest in the country, with people calling on the president to step down. The scandal has also led to a cabinet reshuffle, with Park appointing Kim Byong-joon, an adviser of former South Korean President Roh Moo-Hyun, as the new prime minister earlier on Wednesday. A new finance minister has also been appointed. The reshuffle, however, has reportedly been rejected by opposition parties that claim the move came without prior consultations.